Did you know ? Lumens are for humans. Find out what's needed for your plants. 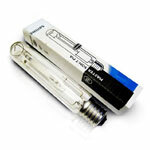 Many manufacturers lamps still specify the output of their lamps (lighting) in lumens . In reality, this unit indicates how humans perceive the intensity of this light and not the plants. Indeed, our eyes are more sensitive to green light with a spectrum of 555 nm while plants are sensitive to a much wider spectrum of 400 to 700nm. Therefore, what is the right way to specify the technicalities of horticultural lamps and how to calculate that on your bulbs and lamps of different type? What is in your light spectrum? Enter the photons. Did you know ? The plants mainly use light ranging from 400-700 nm bandwidth (purple to far red). The light in this bandwidth is called active photosynthetic radiation (PAR). 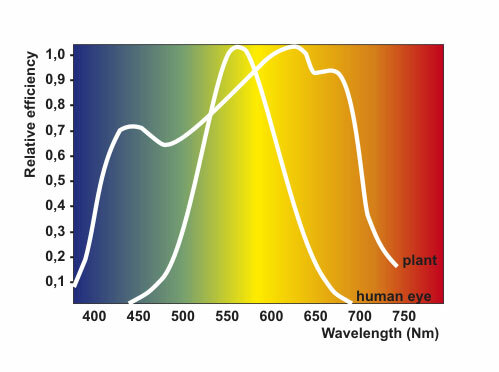 So the width of the light spectrum at which plants are sensitive is much wider than what we see in the human eye. The use of lights, measured according to what the eye is sensitive to, is therefore not a correct representation of the growth light properties of a culture lamp suitable for your plants. Scientists have proven that there is a relationship between the number of photons and the photosynthesis of plants . It takes about 8 to 10 photons to bind a molecule of CO2. Scientists have also discovered that there is little difference in the effectiveness of blue or red light. So there is a direct relationship between the number of photons in the PAR spectrum and potential photosynthesis of a plant (and ultimately the performance of a plant and its abundant crops). For many years, professional researchers used the photon counts in the PAR spectrum as standard and industry greenhouses followed very quickly this movement. Most European manufacturers of horticultural lamps high-end spectrum of quality-term specify the output of their lamps photons BY per second Superplant lighting and HPS lamp electronic special, the best performing sector, followed by Sylvania Grolux or Philips are , Gavita behind Superplant in tests conducted by Hortinews the blog that test innovative products for you. All this specifies the efficiency of their lamps in photons PAR per second. Because photons come in large numbers using a multiplier in this case constant (6.0221415 x 10 23) of Avogadro for expression mol. 1 mol photons is 6.0221415 x 10 23 photons. Now, it is a lot of photons and to get that levels that become easier to understand, they are divided by 1 million, thus creating micro-moles (μmol). Therefore, 1 umol is 6.0221415 x 10 17 photons. To illustrate why mmol / m2 is simply much better for us, at least for our plants: the PPF a lamp 600W HPS is about 1100 mol / second. If you express that, in moles, it would be 0.0011 mol / s. Now it's a little harder to calculate with. For this there are quantum meter full spectrum allowing easy calculation UMOL / M2 with your portable machine and watch or are your losses, it will improve your results and get more crops, and not think PPFD lumens . The photons are counted per second when we expect a stream or a stream of photons. If you count all the photons that a lamp emits in the PAR spectrum per second, you get the photosynthetic photonic flux (PPF). The only way to measure it accurately is in a sphere of integration, Ulbricht's sphere. Thus, PPF is measured in μmol / s and represents all photons in the range of 400-700 nm per second. But how far will it reach your plant and how far? Let's say we go up the lamp in a very good type of horticultural reflector Adjust a Wing , Xtracool , Black OG , etc. whose total efficiency is 95%. This figure means in the 100% light of the lamp, 95% is totally emitted by direct light from the lamp or reflected light from the reflector. You can also say that your reflector losses are 5%. Now, if you spread your 1100-5% over an area of 1 square meter, you radiate 1045 pmol / m 2 / s (1,045 pmol m -2 s -1). This is called the flux density photosynthetic photon . If I move closer to the source and would just light up half a square meter, the irradiance is 2090 pmol m -2 s -1. And of course, spread over 4 m 3 you get 261 pmol m -2 s -1. Double the surface means half of the PPFD. Simply divide the PPF by the illuminated surface in m 2 pTo approximate the calculated PPFD. You will always have parasitic light losses (much more with open reflectors!) And you have an influence by the reflection of the walls, which causes a loss. You can easily measure the PPFD with a quantum counter and a sensor that is specifically designed for the PAR spectrum. Unfortunately, true quantum meters are expensive. The Li-Cor meter or APOGEE are used throughout the industry and are recommended to test your crops and the distribution of your lights in your rooms or spaces crops intensive. Most meters under 500 € use luminescent sensors and an internal table to approximate the PPFD in micromoles. We found them inaccurate because they are even more sensitive to certain colors and do not take other colors in the PAR spectrum in the same account. The best test is the product of quantum meter apogee 500 MQ full spectrum guaranteed by top grower industry for indoor growing. And what about the luminous spectrum? The terms PPF and PPFD qualify only the quantity of photons, not the quality of the spectrum. If the spectrum was not important, you would be able to grow any plant under a single color red LED for example which is not the case the horticultural led spectra are much more mixed. Plants need different colors for different processes. The color of light specifically influences the shape, construction and speed of development of the plant during the different periods of indoor cultivation . In the greenhouses, sunlight provides quality light. 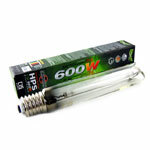 HPS lamps are used for additional and complementary photons, to get the maximum amount in your crops. So yes, the spectrum is important, especially when growing indoors where there is no sunlight. The plants have developed under sunlight for millions of years, so you can expect them to be adapted to this spectrum and they use all the data as efficiently as possible. If you know how much light you need for optimal growth of your plants, it's easy to calculate how many lamps you need. There's one complicating factor, and that's the walls. Did you know that the walls reflect only part of the light? The reflective material used type Orca is the best movie, 99% reflection or Mylar Diamond or classic for obtaining 90% reflection for example. When using diffuse reflective materials of the mylar type, not all of the reflected light will reach your culture. There are therefore significant losses on the edges of your growing room. One way to solve the problem is to keep your final fixings closer to the wall than half the distance between the fixtures in the room to allow more direct light and reflection on the sides to even out the overlap. An adjustable reflector type Adjust a Wing Enforcer or Adjust a Wing Defender and Avenger sends light down the side of the wall can save you a lot of light. Discover a preview of the new lamp Adjust a Wing named HELLION a double ended lamp kit 450W, 600W, 750W double ended bulb Adjust a Wing Discover the best lighting products in Culture Indoor, your growshop online since 2002. When you have an SPACE with lots of lights, you will have a great advantage when you overlap your light. Hanging your lamps higher up the crop will create a greater spread and a lower PPFD per luminaire but you can add the overlap of the other lights in order to always get the same light on your crop and get a homogeneity of your light on your Plants, but at a greater distance. This is much easier for the climate control and more uniform light from different directions, allowing better penetration into your intensive cultivation. In practice, levels may be lower with reflectors different ( the open reflectors will have more flare), older reflectors and many wall influences. Knowing that only the bulb Superplant is enhanced for electronic ballasts , it becomes the best bulb market without comparison, Gavita , Lumatek , Sunmaster far behind. Superplant Lighting , a French brand.